LADNER – In Delta’s recent civic election, newcomer Alicia Guichon won her council seat by a landslide. In second place for votes was veteran Lois Jackson, who ran for council after 19 years as mayor. Jackson trailed Alicia by over 1,000 votes. Guichon was unique among council candidates, and not just because at 30 years old she was one of the youngest candidates on the ballot. She’s also a fifth-generation farmer who has been building bridges between local farms and residents for the greater part of her life. Guichon owns Backroads Family Farm Market, a farmstand at the corner of 52 Street and 28 Avenue, with her business partner, best friend and sister Danielle. 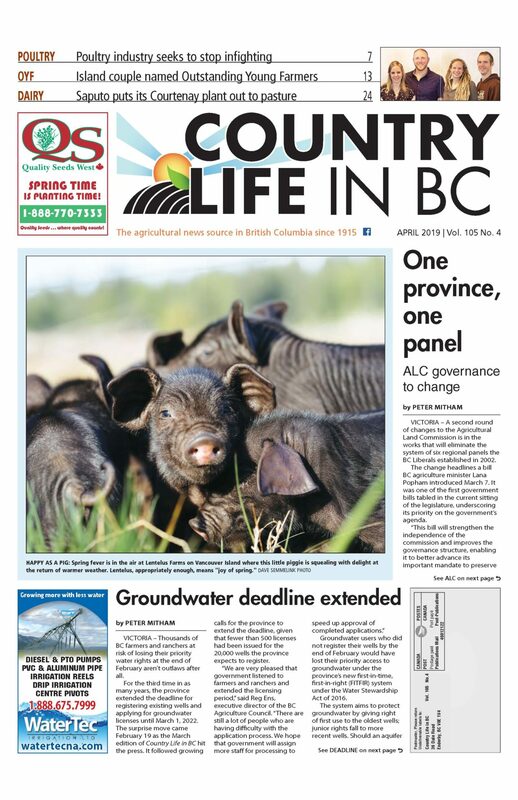 The two have been connecting farm goods to the suburban population of Delta for over half their lives; now Guichon’s council seat allows her to take the connection even further. “[Being a Delta councillor] wouldn’t work if I didn’t have the support of my family or my business partner as well,” she says. Two rescued farm dogs from Manitoba are also friendly companions, helping welcome visitors. In the summer, there’s a thriving acre of sunflowers, vegetables, a small greenhouse and a chicken coop behind the store. All the produce is sold in the market, alongside other locally farmed fresh produce. Even the non-perishable shelves are sourced as locally as possible. Instead of dealing with the usual distribution systems, Alicia and Danielle pick up produce the day it’s harvested. After their morning meeting, they immediately begin calling around to local farmers, in search of what’s just come off the fields to provide the best products for their customers. They work with 25 farmers in Delta and the Fraser Valley, a group they’ve been cultivating since their teens. One is Kevin Husband, owner of Emma Lea Farms on Westham Island. Emma Lea Farms has its own market, but focuses on u-pick in the summer. Husband sells his fresh berries to Alicia and Danielle and buys potatoes from their family’s farm, Felix Farms. Starting when they were 11 and 13 years old, the sisters sold their family’s corn on the side of Arthur Drive in Delta and local produce at the farmers’ market – something they still do. The biggest challenge the two have faced so far was making the jump to a permanent location five years ago. Before making the decision to open their business, Danielle had just finished school at Blanche Macdonald Centre for fashion merchandising and Alicia was accepted into the teaching program at UBC. Their hearts were back in Delta though. “We’d get different jobs from September to June and then every summer we kept coming back to the farms,” Alicia says. 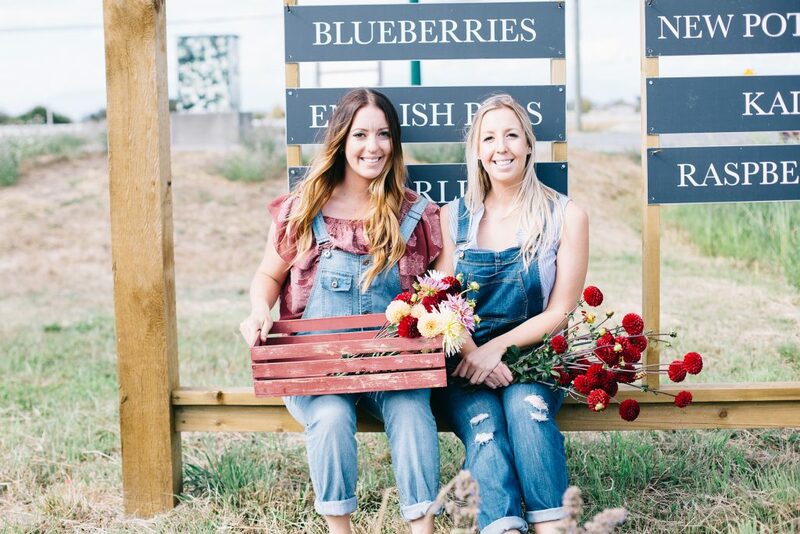 When the opportunity came to sign a 25-year lease for 300 acres from the Tsawwassen First Nation in 2014, Danielle and Alicia pitched the idea of a permanent market to their family. They chose to resurrect a derelict building that sat underneath 20 years worth of brambles at the corner of a field on a backroad, not far from where the Tsawwassen Mills mall is now. “Our family built this stand and ran it in the 80s and the 90s and then they got too busy on the farm, so they leased it out to somebody else as a produce store,” Alicia says. A hand-painted sign signalled it was once again open for business. Danielle has since redesigned the signs and the logo now adorns carry bags and clothing sold at the store. As the business grew, so did the ideas. The back acre features many of the standard vegetables as well as items that aren’t easy to find at the supermarket, like coloured cauliflower. Growth has also meant that the sisters have less time to connect with customers, however. They’re hoping to strike a new balance next year with the addition of a driver and general manager, which will give them more time to engage and build the business – and, for Alicia, serve residents on council. Alicia definitely has her work cut out for her. The balance between rural and city life is delicate and with new projects always on the horizon, a farmer’s voice is needed. The communication between the City of Delta and its farmers hasn’t always been good. In a pre-election meeting with the Delta Farmers’ Institute, mayoral candidate George Harvie (now mayor) described the past relationship between the two as “toxic.” He touted Alicia as his connection to the farming community. For Alicia, everything revolves around farming so, with that lens, she says she’s able to give city the input it needs to keep things growing. Building the relationships between the city and farmers could be as simple as making sure roadwork meshes harvest times.